AA Electric comes highly recommended in the Hoffman Estates Business and Construction community as the premier commercial electrician in Hoffman Estates, IL. AA Electric has been providing commercial electrical services for over 30 years in Hoffman Estates, IL. AA Electric in Hoffman Estates, IL knows what it takes to work with General Contractors and construction teams to get the job done on time and on budget. AA Electric in Hoffman Estates, IL employs only licensed electricians that are trained to follow commercial construction blue prints and plans. AA Electric in Hoffman Estates, IL takes pride in their commercial electrician work and looks forward to helping you on your next commercial electrical project in Hoffman Estates, IL. AA Electric is an owner-operated residential, commercial, and industrial electrician in Hoffman Estates, IL. 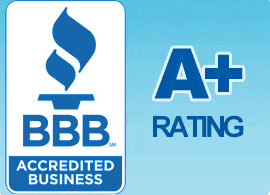 AA Electric comes highly recommended in the Hoffman Estates residential electrician community. AA Electric provides the best residential electrical contractor services in Hoffman Estates, IL. With over 30 years of residential electrician services in Hoffman Estates, IL we have perfected the art of electrical design and craftsmanship. AA Electric Hoffman Estates, IL residential electricians have done many residential electrical work in the Hoffman Estates, IL area. AA Electric industrial electrician in Hoffman Estates, IL installs, services, and repairs wiring, conduits, fixtures, and other electrical devices and systems in an industrial setting. AA Electric has been providing industrial electrical services for over 30 years in Hoffman Estates, IL. AA Electric in Hoffman Estates, IL knows what it takes to get the job done on time and on budget. All work performed by AA Electric industrial electrician in Hoffman Estates, IL meet the regulations of the National Electrical Code. Give AA Electric industrial electrician in Hoffman Estates, IL a call for a free estimate on your next industrial electrician project.